Prince Harry donned his trainers and took to the Flamengo beachfront of Rio de Janeiro on Saturday to run a Sport Relief Mile. He’s hoping to inspire people across the UK to do the Sport Relief Mile on Sunday 25th March and raise money for those that need it most in the world’s poorest countries and the UK. 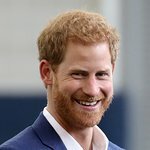 Prince Harry started the race for the hundreds of people by waving a Union Jack and Brazilian flag and then joined in and ran a Mile for Sport Relief along the beach in sizzling temperatures of 35 degrees. Running against the beautiful backdrop of Sugarloaf Mountain, The Prince ran the race with a group of children in eight minutes and 32 seconds, and even donned a mask of his brother during the run. He then spent time handing out Sport Relief medals to his fellow Milers congratulating them on taking part in the event. Sport Relief 2012 has gone global with hundreds of Mile events taking place all over the world including Delhi, Moscow and Quito. The Sport Relief Mile in Rio de Janeiro was organized by the Foreign & Commonwealth Office as part of Prince Harry’s official tour to Brazil. This year, over one million men, women and children are expected to pull up their socks and take part in the Sainsbury’s Sport Relief Mile in order to raise some serious cash for vulnerable people across the UK and the world’s poorest countries. The Sport Relief Weekend is taking place in the UK from Friday 23rd to Sunday 25th March and it’ll be three whole days of energy, entertainment and events to help the nation go the extra mile. People can choose to take on either 1, 3, or 6 miles and enter online now at sportrelief.com/mile. Money raised from Sport Relief will be spent helping some of the most vulnerable people in the UK and across the world’s poorest countries.